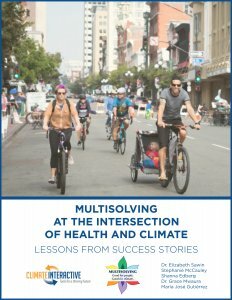 We were very fortunate to have three leaders of multisolving projects that we featured in our Multisolving at the Intersection of Health and Climate report share their work and their stories with us via a webinar this week. Lucy Saunders spoke about the Healthy Streets Approach, Larissa Lockwood spoke about Operation TLC, and Forbes McGain spoke about a program to reduce the impact of anesthetic gases on climate change. On the surface these projects are very different. 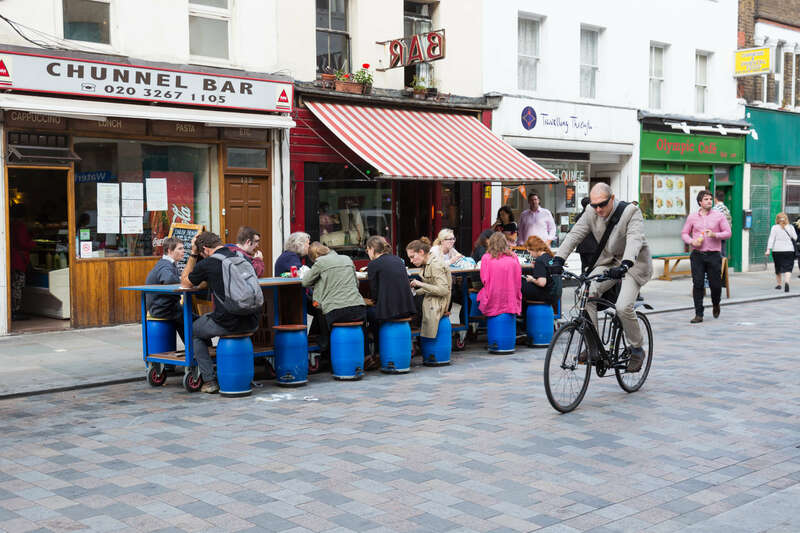 Healthy Streets is a conceptual framework for planning transport and urban spaces. The anesthetic gases project was conducted within a department in a single hospital and focused on the switch to gases with lower impacts on climate change. 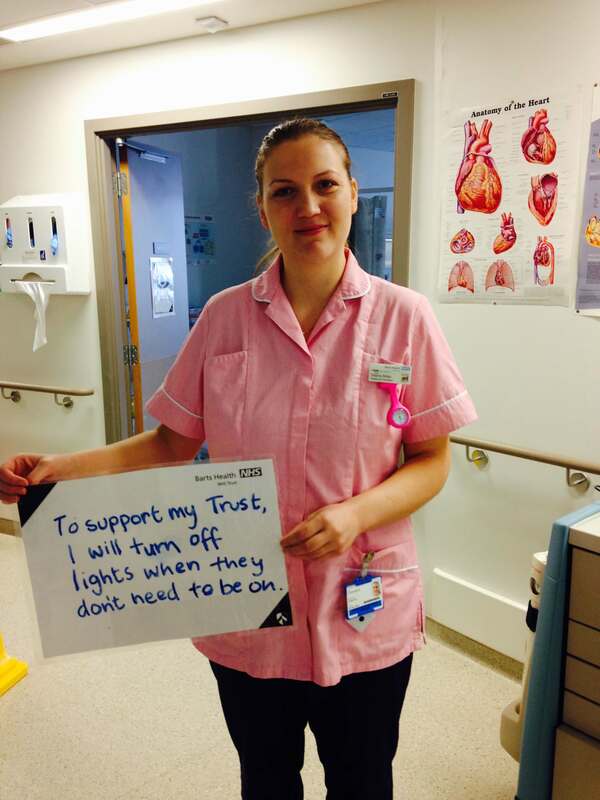 Operation TLC involved multiple hospitals and focused on energy efficiency and behavior change within hospital wards. Despite these differences, as I listened to each multisolver tell their story, the common themes were clear. Start small, but think big. Forbes McGain spoke about his outreach to other doctors in a process that led to more and more anesthesiologists adopting procedures to use anesthetic gases with less climate change impact, and Larissa Lockwood told us how their initial efforts in one cluster of hospitals continues to spread within the National Health Service. Healthy Streets built support overtime to eventually set bold city-wide goals for impacts on health, greenhouse gas emissions, physical activity and more. Understand and connect with what people care about most. Operation TLC understood that the primary mission of hospital staff is delivering excellent care to patients. The rationale for turning off equipment, controlling temperature in rooms, and turning off lights was focused on creating a comfortable and quiet environment for healing. Healthy Streets sets out the 10 Indicators of what a street should feel like – indicators that matter to people. Embed your innovations for staying power. Nurses participating in Operation TLC added green stickers to equipment that is safe to switch off and used red ones for switches the must remain on. Transport for London has introduced new analytic tools and checklists for designers as well as incorporating metrics of Healthy Streets that are used to measure performance of key agencies impacting transportation in the city. Measure and communicate the benefits. Each project paid particular attention to documenting benefits, from money saved to patients healing more quickly. For example, Transport for London made sure that the public health tools used to quantify the impacts of transportation choices on health and well-being were adapted to the local context and supported with training and documentation. When similar strategies are found across such a diversity of project scales and sectors, they are likely to be useful in multisolving more generally. Multisolving leaders should look at their own project design with an eye towards opportunities for including these elements.